Weight in my belly, Trees on my back, Nails in my ribs, Feet I do lack. What am I? 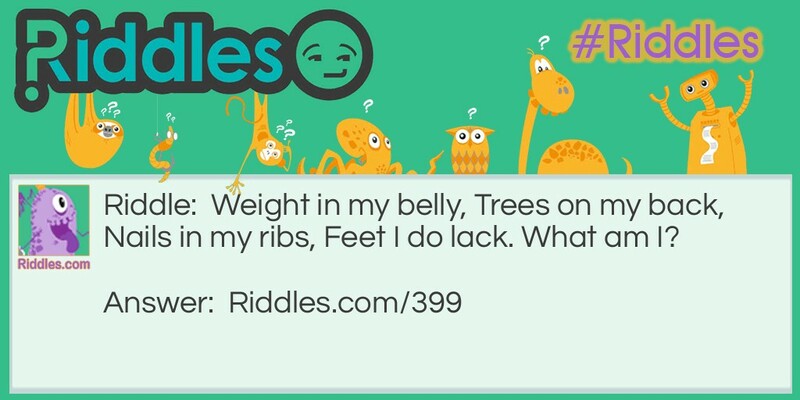 Not Human Riddle Meme with riddle and answer page link.